Vibro compaction and vibro stone columns are the two dynamic methods of soil improvement most commonly used worldwide. These methods have been developed over almost eighty years and are now of unrivalled importance as modern foundation measures. Vibro compaction works on granular soils by densification, and vibro stone columns are used to displace and reinforce fine-grained and cohesive soils by introducing inert material. 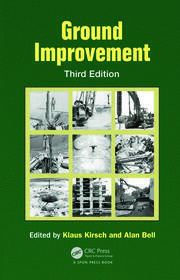 This second edition includes also a chapter on vibro concrete columns constructed with almost identical depth vibrators. These small diameter concrete piles are increasingly used as ground improvement methods for moderately loaded large spread foundations, although the original soil characteristics are only marginally improved. This practical guide for professional geotechnical engineers and graduate students systematically covers the theoretical basis and design principles behind the methods, the equipment used during their execution, and state of the art procedures for quality assurance and data acquisition. All the chapters are updated in line with recent developments and improvements in the methods and equipment. Fresh case studies from around the world illustrate the wide range of possible applications. The book concludes with variations to methods, evaluates the economic and environmental benefits of the methods, and gives contractual guidance. An Overview of Deep Soil Improvement by Vibratory Methods. History of Vibratory Deep Compaction. Vibro Compaction of Granular Soils. Improvement of Fine Grained and Cohesive Soils by Vibro Replacement Stone Columns. Method Variations such as Vibro Concrete Columns and Related Processes. Environmental Considerations. Contractual Matters. Klaus Kirsch is a consulting engineer and was a Director of Keller Group plc until his retirement 2001, then Consultant to the Board and Chairman of the Group Technological Committee and Chairman of the Supervisory Board of Keller Grundbau, Germany. Fabian Kirsch is managing partner of GuD Consult GmbH, a leading geotechnical consultancy in Germany. 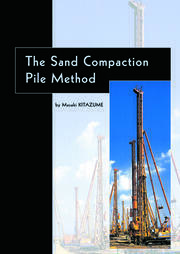 "This practical guide will be of value to practising ground engineering professionals involved with deep vibratory (ground improvement) methods either as specifiers or practitioners, also to academics, civil and geotechnical engineering consultants and post-graduate students requiring a more detailed knowledge of the subject matter." 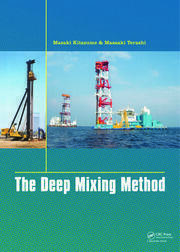 "This is the book to have for a comprehensive understanding of ground improvement by deep vibratory methods. 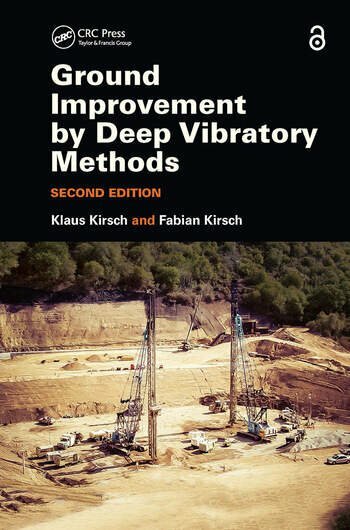 While the topic is covered broadly in ground improvement books, this book is dedicated solely to deep vibratory methods and, as such, presents a greater level of detail in design, construction, case studies and environmental considerations. In addition, the book is well-written."